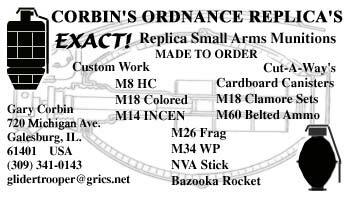 Corbin's Ordnance Replica's - Exact! Discounts given for large orders and repeat customers. !! SOME OF THE PHOTO'S ON THIS PAGE ARE NOT OF MY ACTUAL REPLICA'S... YET! These are pics of actual pieces, or of piece's I have. As I make each replica I will post a new photo. Eventually All photo's will be of the replica's that I offer. Please feel free to contact me for larger photo's. I haven't gotten to attaching larger image links yet. or First Class, unless you request other wise. You pay actual shipping! [M26 Grenade, Frag, Hand] - BOOM! Lever(Spoon), Pull pin/ Ring and 3 piece Striker Set. to piece, down to the shading and Lot #'s on the Spoon's. 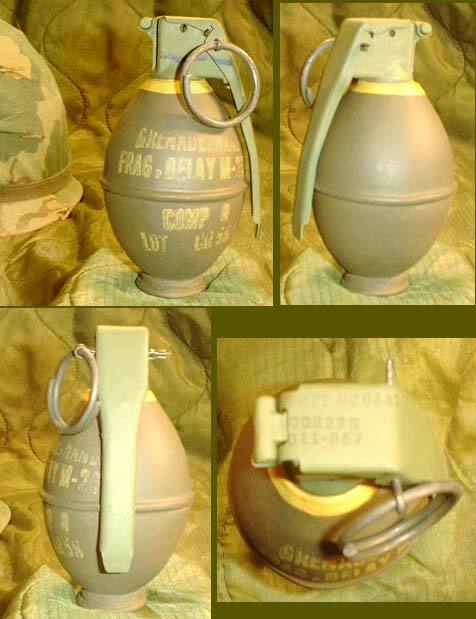 Weight of REAL M26 is 21 ounces, Replica weight is 7 ounces. 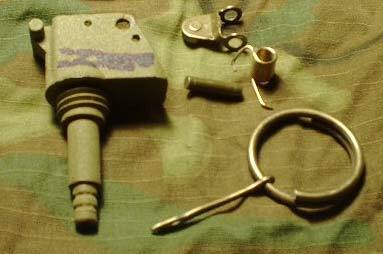 The Fuze Assembly Body, and 3 piece Firing Pin Set. the proper color, also added in is the Firing Pin assembly. I place the Blue Inspection Mark on the Fuze body. was able to remove the blue where the striker pin will rub the paint off. 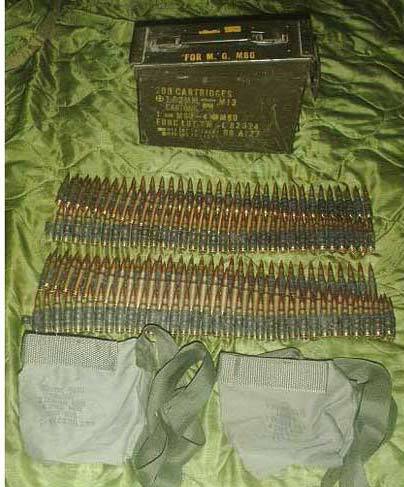 M204A1 Fuze LOT #'s on the top. Sorry these are not for sale individually. 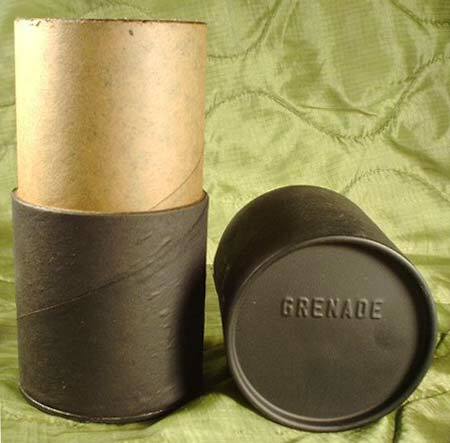 All Can Type Grenades come with a matching Cardboard Canister. Fuze Safety Lever(Spoon), Pull Pin/ Ring, and 3 piece Striker Set. the shading and Lot #'s on the Spoon's. M8 AN HC Smoke - Current Issue "Mushroom Head"
Screening Heavy Concentrate. 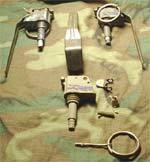 Plastic Body, M201A1 Fuze, & Safety Lever. REAL Pull Pin. 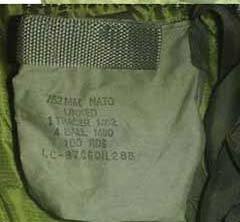 LT Green Body with Black markings, White top. Weight of REAL M8 is 24 ounces, Replica is 17 ounces. Lever. REAL Pull Pin. LT Green Body with Black markings, White top. AN M14 INCEN TH3 Thermate - Current Issue "Mushroom Head"
Melting Metal. Plastic Body, M201A1 Fuze, & Safety Lever. 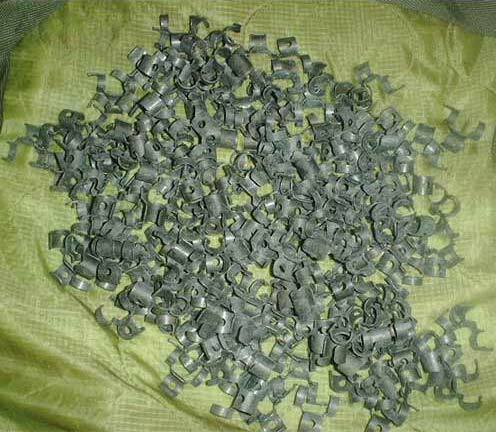 REAL Pull Pin. Gray body with Violet markings. 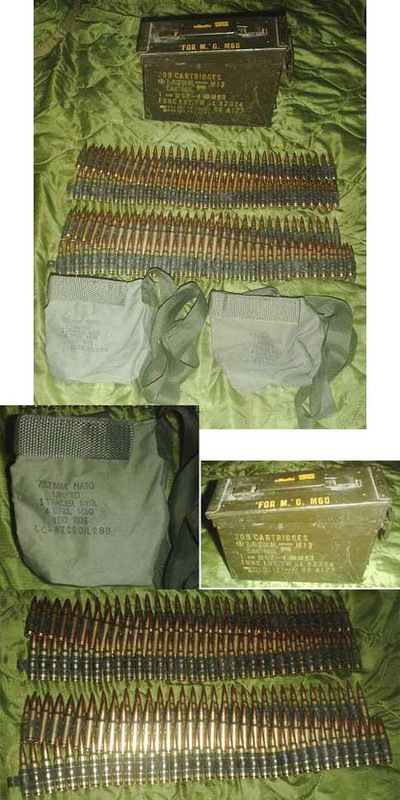 Weight of REAL M14 is 34 ounces, Replica is 17 ounces. M18 Smoke Grenade - Current Issue "Mushroom Head"
Signal and Screening. 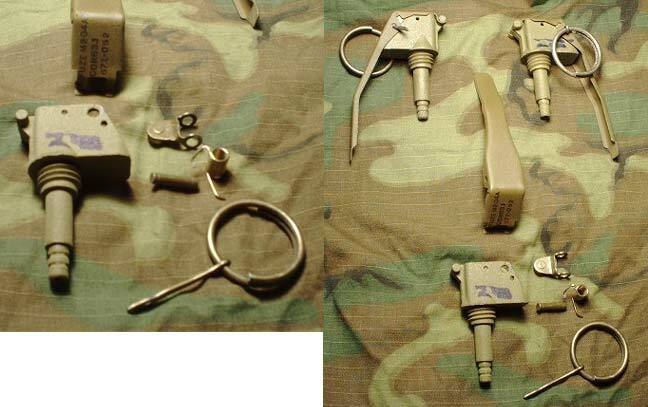 Plastic Body, M201A1 Fuze, & Safety Lever. REAL Pull Pin. OD Body with White markings. Your choice of color. Weight of REAL M18 is 19 ounces, Replica weight is 17 ounces. Order M18 A1 or A2 followed by first letter of color. Yellow Band. Identifing grooves around Body. Weight of REAL M34 is 27 ounces, Replica is 17 ounces. If you have a Smoke grenade already but lack the canister. I can make one for you . You tell me what to print on the can. Or I can supply any color with random LOT # from stock. $6.00 with markings of your choice or random from stock. LOT#'s Stamped on the top of the Safety Lever. 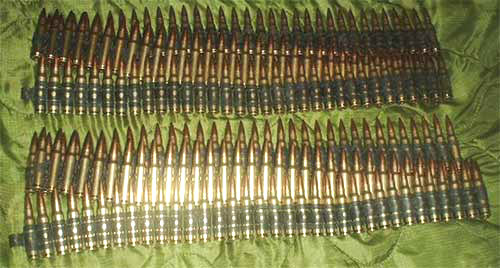 (Full Metal Jacketed Boat Tail) Bullets on M13 Links. 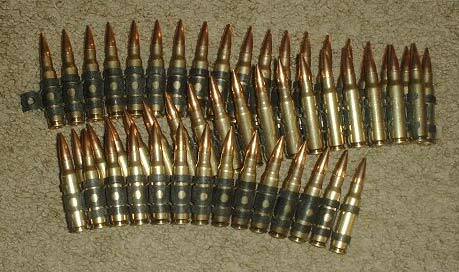 $0.10 cents per Tracer Round. Normally every 5th round is a tracer round. Not sure of the release date on this yet. I have NO PLANS of making Plastic MKII Nor the M67 Hand Grenades at this time. 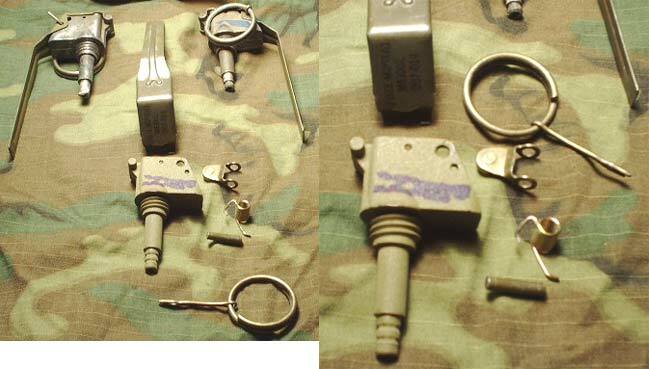 Unpainted with M213 training Fuzes & Blue Levers. Or if you would like, I can paint the Body & Safety Lever and stamp the exsisting Safety Lever with the proper markings. The MKII's WILL NOT have the WWII style Safety Lever! M26 Cardboard Shipping Containers..... Mid March? M26 Wooden Cases..... Mid April? 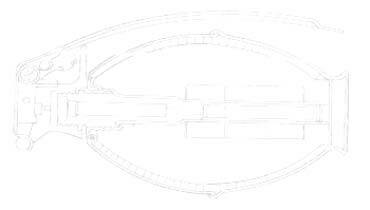 All will have the proper markings/ stampings identifying contents. I think these items will be limited production?